and some costumes mind-blowing... i got a pic with one that was basicially in just a corset and french knickers! Not complaining of course hehe! great having a helmet with a fully mirrored visor! I havent uploaded the photos yet but im doin it now so you should see in a lil while:) if ya want you can add me on flickr as i am uploading mos of my photos there. 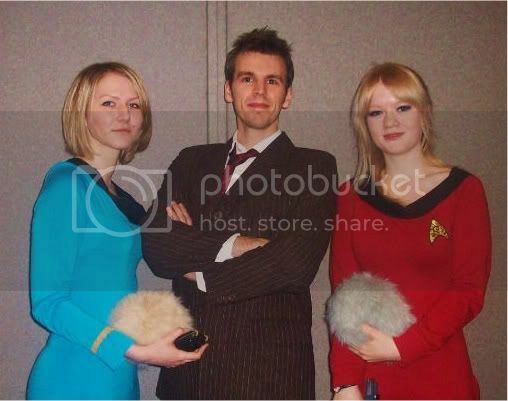 I was (one of) the 10th doctor on the sunday - (Matt) there is a pic of me holding a banana a few pages back. I didn't mange to get many pics of me on the day does anyone have any? Also, this event was a first for me, what did people think, did i look the part?? I'm one of the other Doctors (Blue suit) from sunday. Your costume is awesome, you have lots of fans on here, me included! Sakuraso - agree with the comments on the excellent uniform. Always did like the old series far better than all those spin offs. 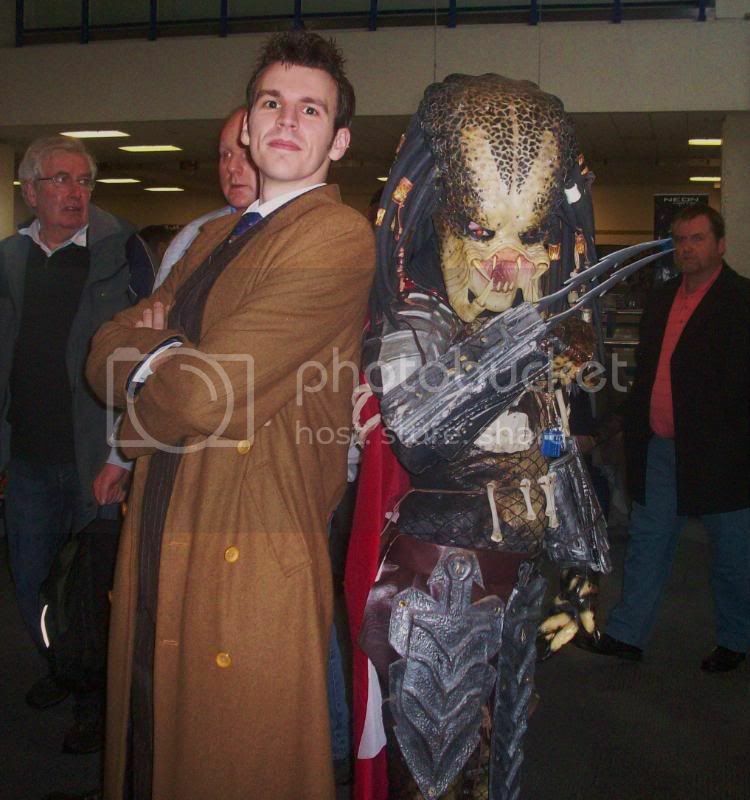 Think I saw you at LFCC a while back in July or so. Will you be going to Milton Keynes or any of the next shows? Disagree Alex with you being the least talented. I am sure that there is equality there. Looking forward to the next event you attend in that case. You should go to the one in Chicago or Philly where Shatner and Nicholls are present in the New Year, as I know that he's a rarity in this country. We shouldn't be so bashful I guess in the future, which is strange seeing as I'm due to do a photo shoot with the Prime Minister in a fortnight. Maybe I could use one of your tribbles to frighten him in to revealing where he keeps all that tax! Til the next time Alex D!!!!!!!!!!!! Looking forward to your next post. The two ladies wearing Classic Star Trek uniforms, as has already been pointed out many times, looked absolutely amazing! Glad to hear you got to spend some with George Takei, we got to meet him in America and he was really nice. All the Star Trek uniforms looked great at the event actually. The Klingons in particular were bonkers, but in a good way! The Spiderman was awesome, well done. 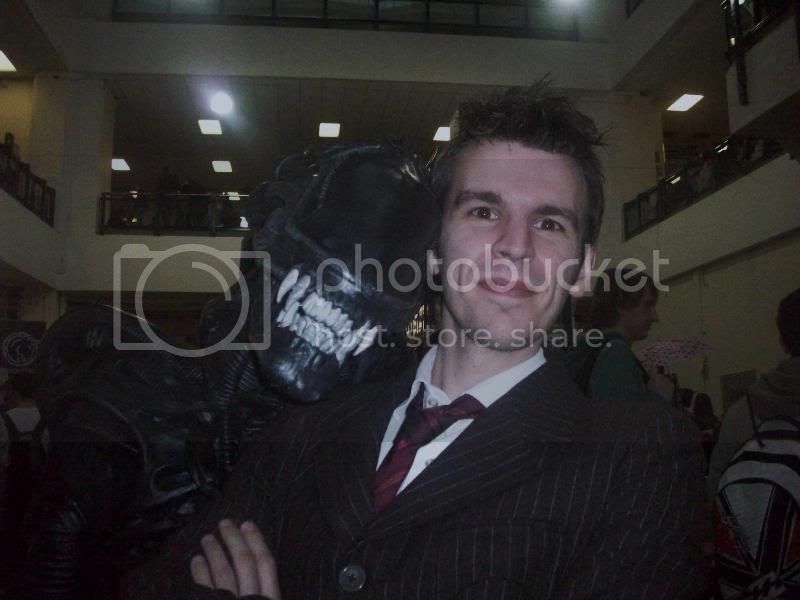 I was one of the Alien's Marines walking around, trying to keep the Alien in order and failing miserably! Great event, well done all concerned. ......and we gave up trying to keep the Predators in line, especially the short ones! It was great to see you Peyton. I'm mildly surprised that no one's yet mentioned Sunday's Darth Maul. I didn't see him and now i'm gutted, he looks fantastic!! I'm just glad people liked how i looked, was a really good weekend i had such a laugh, met soooo many people and made some new friends! So many great costumes, the aliens and predators were amazing (Peyton - you're Brilliant you are!!) and of course the two Star Trek girls! Watch it boy i can see your Ego inflating from here!!! Oooh YES! All the costumers looked the mutt's nuts. You definitely looked the part. 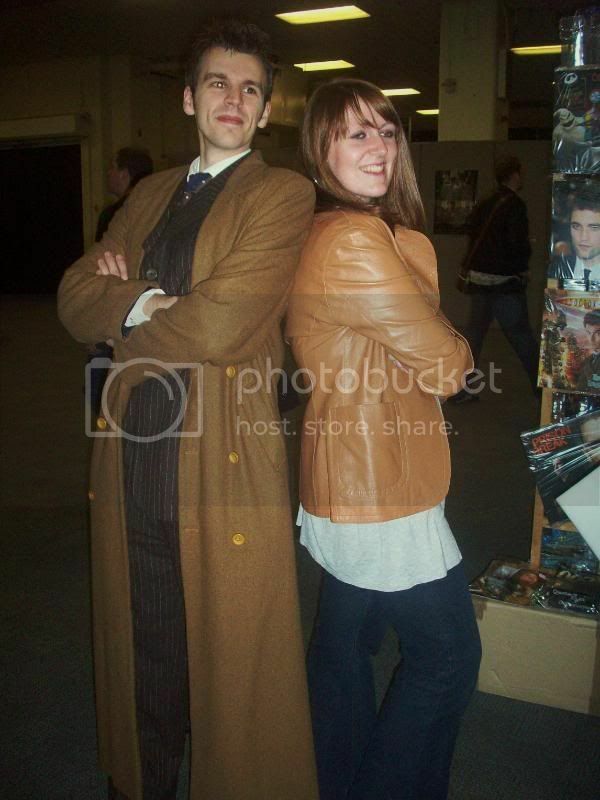 I saw you walk past as I was waiting in the queue to go into Olympia and heard someone say "I thought that was David Tennant!" 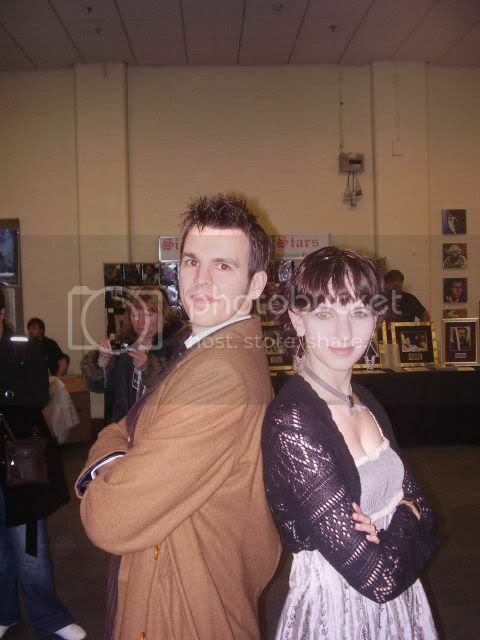 I was there briefly on the Saturday and all day on the Sunday dressed as DI Alex Drake from Ashes to Ashes. Well the two women dressed up in star trek gear were very nice pwoar!!!!!!! Also the group of people who dressed up as murder/zombie victims where one them said as I was walking down the street for the tube on the sunday turned to one the others saying the blood will stain for days, that may be but certainly worth it i would've thought. I hate to blow my own horn, but did anyone catch my duet with one of the Klingons on the Saturday? We sang a drinking song. I shall be extremely disappointed if there aren't a vast number of people ready to sing in Klingon in time for Collectormania 16. Martok and Gowron will be present, after all! All the costumes were brilliant! Especially my fellow Starfleet officers! 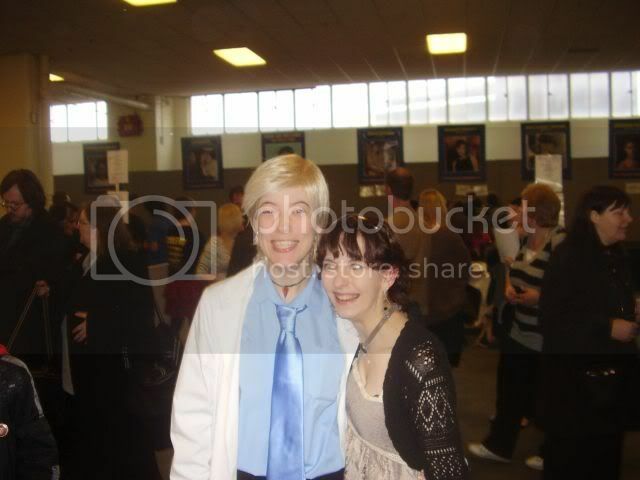 Were there any Twilight cosplayers? Bolly - thanks for the comments, i'm now blushing , can't wait till the next con. Am i right in thinking you were in front of me in the JB photoshoot queue??? Victoria - thanks for the add, loved the title of our pic together .